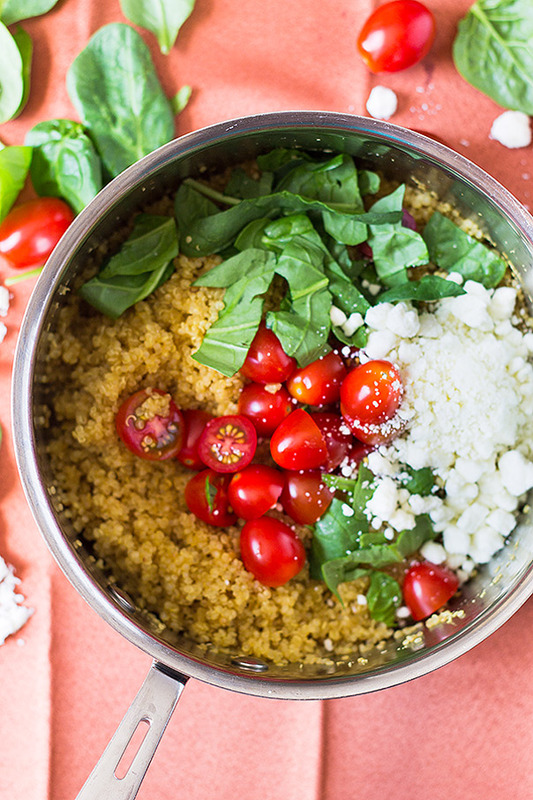 This Easy Italian Quinoa will make a great side or even a quick meatless meal for those busy nights! Hey everyone, how has this beautiful fall weather been treating you?? Our family has really been enjoying the cooler weather and I love it because it puts me in the mood to do some fall baking! The only trouble is it can be a little busy around here and hard to squeeze everything in (including my fall baking) so easy meals are a must in my house! 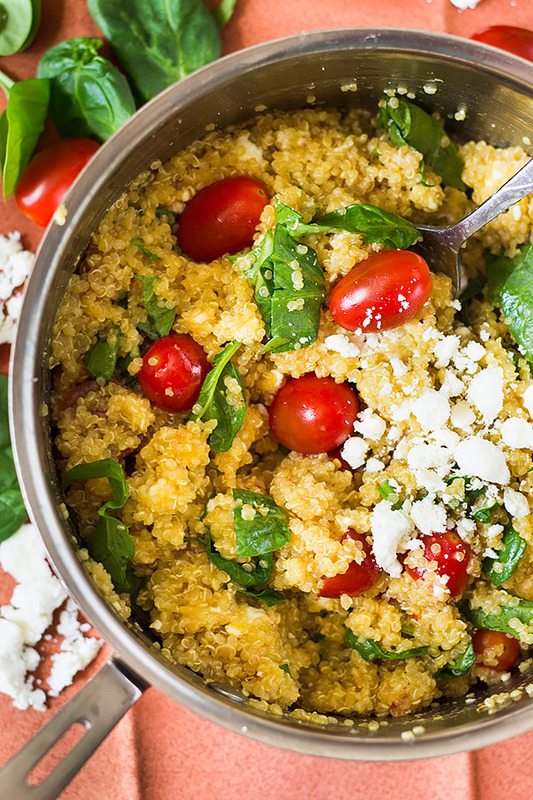 This easy Italian quinoa can help round out a meal as a side dish or you can make it a meatless meal all on its own. 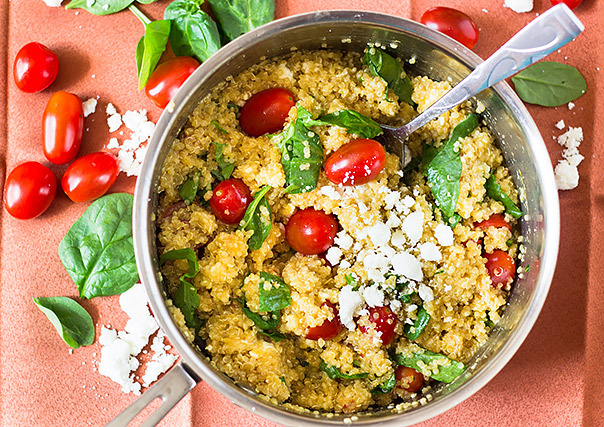 It’s also a really healthy option since it’s loaded with all that goodness quinoa has to offer like gluten free, high in protein and high in several nutrients. In a medium saucepan cook the quinoa and chicken broth according to package directions. Remove from heat and stir in the tomatoes, spinach, cheese and dressing. Serve as a side dish or a meatless meal.